My name is J. Adán Ruiz and I played the characters of Florencio and Papa Grande in the beautiful musical of Tomas and the Library Lady. I am very happy with the experience and knowledge that Fuse Theatre had left in my career as an actor and as a human being. I like how Fuse Theatre promotes multiculturalism, tolerance, social justice, and family values in our community. When I was performing for Tomas and The Library Lady, I remember seeing those little faces in the audience looking at the show; they were having fun, and they were getting into the story so deeply. It means a lot to me when a theatre group captivates so much attention from young kids and takes them away from our daily craziness. The work that Fuse theatre is doing its amazing and it really touches our hearts. I am thankful for having the opportunity to work with such a responsible, professional and kind group. Hello, I’m one of the leader of the Sequoia High School Dream Club. Stacey worked with us to create some performances for the Dream Club’s annual dinner in the fall of 2016. It was the first time I ever worked with a devised theatre piece, so it was very challenging to help create the piece and perform it;however, i became was very happy with the way that Stacey was guiding us through the process. Thanks to her help we were able to create pieces that conveyed our club’s message. After the dinner, I applied and was accepted as an intern for a Leadership through Devised Theatre program with Fuse. Through this program I was able to participate in leadership and theatre training workshops that helped me learn more about how to create a devise theatre piece and improve my leadership skills. At the end of the internship, I was able to guide my own group through the process and create a successful performance that would share with our community the hardships undocumented students face. I’m delighted by the work I’ve seen from Fuse Theatre. As a social justice activist who wants to hear privileged and underprivileged alike tell their stories in their own voice, I’m drawn to the way Fuse uses theatre arts to give voice to community members who wouldn’t otherwise be heard. This is community theatre at its best. When Fuse produced a play about the plight of Docktown residents facing eviction in Redwood City, actual Docktown residents portrayed themselves onstage alongside experienced actors. When the Sequoia High School DREAM Club presented Fuse-directed skits about the experiences of immigrant students, everyone in attendance felt solidarity with these great young people, and their struggle to be accepted as equal members of society with access to higher education and employment. Fuse Theatre isn’t about cultivating a culture of celebrityhood, where passive consumers sit in thrall of the “experts.” It’s an innovative and heartfelt program to restore the local practice of art as an everyday experience of celebration and healing. To me, Fuse represents a future that I want to live in. 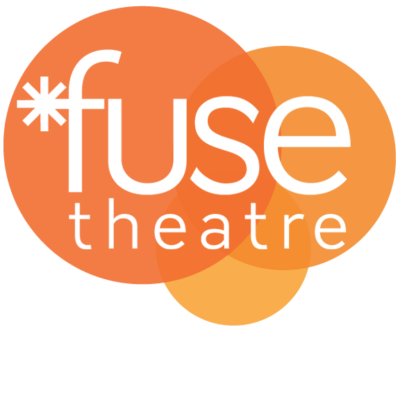 Fuse Theatre works within the local community to create and produce fine theater while serving a social justice goal. I have been so impressed by the quality of the productions and the insights I obtained by watching and reflecting on the shows. I loved the recent Docktown Play and look forward to the upcoming productions. I am thrilled, and honored, to be part of Fuse Theatre. Not only the support and promotion of the arts in the area, but enabling those in the community to tell their stories in different ways, through different medium allowing them to reach multiple audiences. Stacey, through Fuse Theatre, has expanded my definition of drama and theatre to much more than just producing plays – using theatre for social justice and to expand the sense of community.